OZ Racing Superturismo LM was inspired by 24 hours of Le Mans successes! OZ Racing Superturismo LM is a technical multi-spoke wheel inspired by the racing wheels used on Audi cars in endurance races. 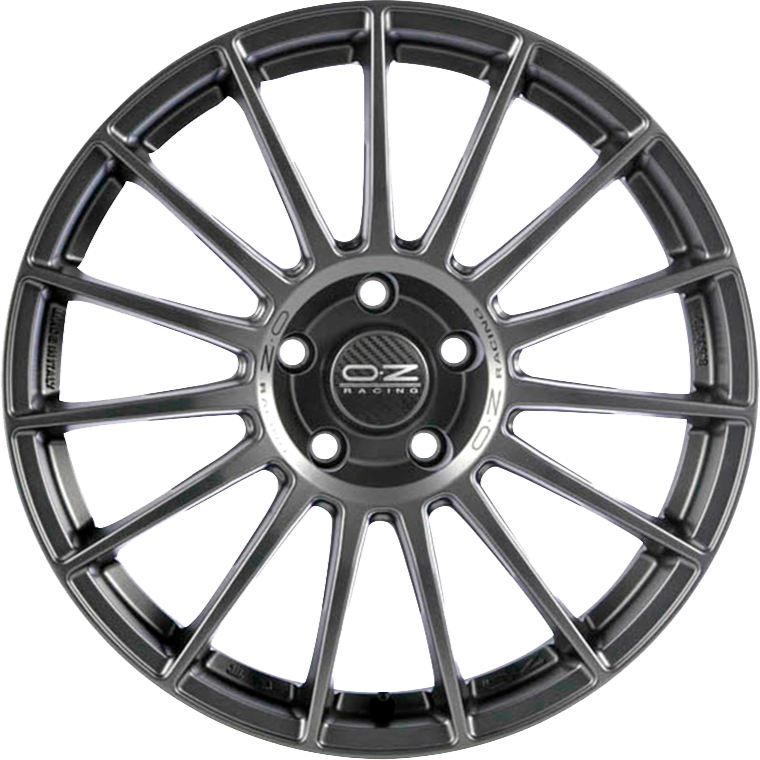 OZ Racing are the most recognised wheels worldwide. Season after season they continue to dominate the world’s most spectacular racing event - the 24 hours of Le Mans - where OZ has collected a long list of victories as official supplier to Audi Sport. The Superturismo LM is available in matt black with silver lettering, matt race silver with black lettering, matt graphite with silver lettering and in 17", 18", 19" and 21". Like all wheels by OZ, the Superturismo LM wheel is TÜV certified.